I’m not going to sugar coat it and say everything is perfect and amazing here. There are definitely moments that grind my gears; like e-bikes parked all over the footpaths so you’ve gotta squeeze around them or walk on the road, not always being understood when you want to do the simplest things, the lack of hygiene, feeling like you’re dodging bullets whenever you cross the road, and you know.. just the usual cultural differences. But it’s been a hell of an eye-opening and unique experience! I don’t think I would’ve gained the appreciation, patience and a whole new perspective had I never set foot here. I have to thank my friend, the gym for being our saviour. Going to the gym has been a way to release those frustrations and deal with those daily challenges. Plus it’s helped me to maintain my fitness (and avoid obesity!) as food is a huge part of the social life here. 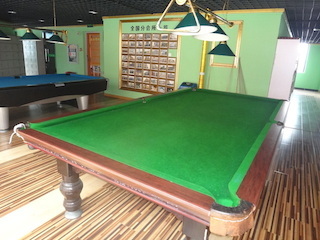 People also use the gym as a ‘hang out’ area and to play pool. GYM RULES. There are no rules. One thing I can’t stand with the gyms here, is the smoking! Smoking in the gym. Really? I remember there was a man smoking right next to me when I was on the cycling machine, and every gasp of air I took was a massive inhale of smoke. I started coughing everywhere and making a scene. He eventually got the hint and left the workout area. Thank god. I remember the days where sneakers were compulsory in gyms. Not here. You can pretty much wear anything. I’ve seen all sorts. Men in only underwear, bare feet, jeans, socks, skirts you name it! Socks and shorts – what else do you need? I was so excited to attend this class. I did a lot of yoga back home in New Zealand, so was feeling confident. The class started nice and easy where we eased into some of the poses. But as the class progressed, it got quite difficult. I thought ‘oh well, I’ll just work to my own level and not push myself too hard’ – next thing you know, the instructor’s behind me with her knee in my back and her weight pushing down on me; meanwhile my left arm is being twisted into position. I couldn’t BELIEVE what was happening. “Ow ow ow!” She soon realised I was not too keen on her tying me into a knot. Ever since this experience, I have been too scared to go back. Love your privacy? Well you can throw that out the window, because you won’t find it in these changing rooms. The shower and toilets are in cubicles. There are no doors, no shower curtains, and nowhere to hide. The other day I saw an old lady fully naked pacing the room having a full blown argument in Mandarin with someone on her cellphone. 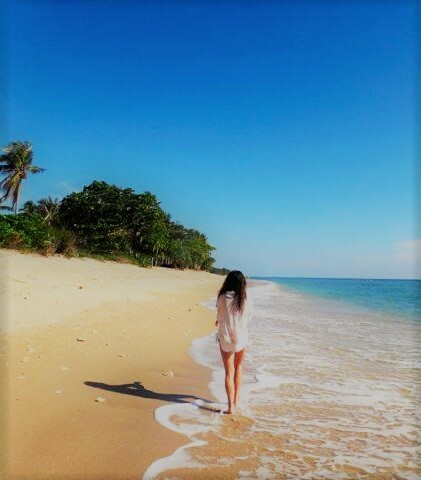 She was screaming and waving her arms everywhere.. A screaming naked woman. I couldn’t help but be astonished. I wanted to share a glance of ‘whoa she’s angry and this is a bit weird’ with someone else, but nobody twitched; it just seemed completely normal. You get used to it eventually, because there isn’t much you can do about it. Apparently, the men’s changing rooms are just as… interesting. Alan said he walked into the men’s room facing a Chinese man with a ciggy in one hand who was chatting to his mate and standing on a bench in the middle of the room drying ‘himself’ next to the fan. Alan states “It gets a bit much sometimes”. Ahhh.. never a dull moment in China. Do you have a memorable/funny/amusing gym or travel experience you would like to share? We would love to hear it.